Does your organization receive third party payments for your child care participants? 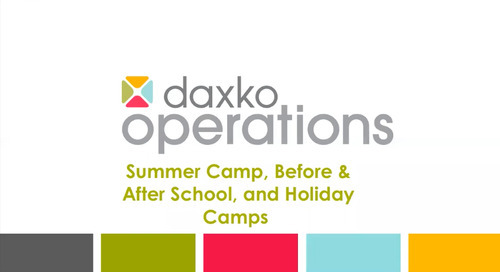 If yes, then join us Friday, April 6th from 10-11am CDT to learn how to use the Third Party for Child Care functionality in Daxko Operations. We’ll review how to designate third party providers and tying your participants to them, as well as, how to apply subsidies to the registrations, managing payments, and invoicing and reporting.